California is ICMA’s largest state, with more than 1,000 members, 650 of whom work in local government. 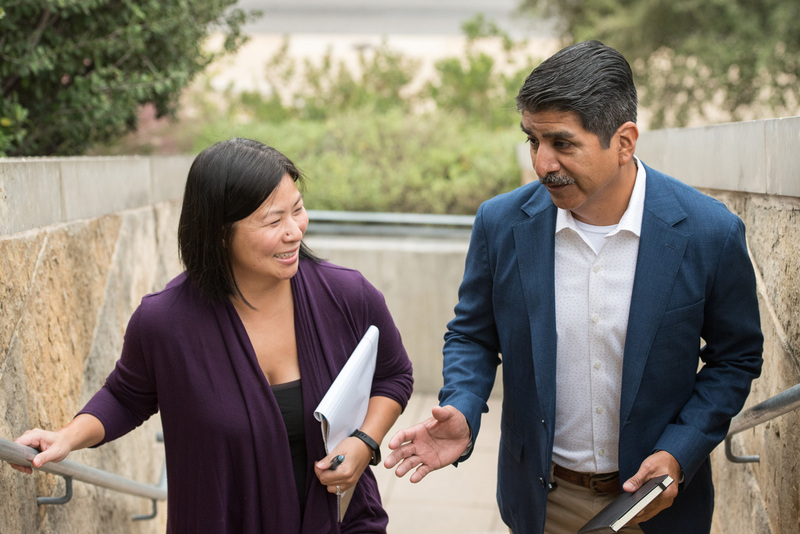 As your career and your community both evolve, the resources and connections that your ICMA membership provides will support you and local government excellence at every point in your journey. Others who share our commitment to local government excellence and dedication to the highest standards of honesty and integrity. Advance your career, make a difference in your community, and live a career with a calling. Cal-ICMA is a collaboration of the League of Cities City Managers’ Department (CMD), the California City Managers Foundation (CCMF), the Municipal Management Associations of Northern California (MMANC) and Southern California (MMASC); the California Association of County Executives (CACE); the COG Directors Association of California; along with members of the academic community and from all of the other ICMA membership categories. Cal-ICMA is inclusive of all ICMA members. Cal-ICMA coordinates member service activities for California, including: professional development and training; new member recruitment and member retention; response to “ethics issues” relating to ICMA members; and appointments to ICMA committees, task forces, and nominees for the ICMA Executive Board. This collaborative maintains a strong relationship between ICMA and its members in California and creates a broader base of collaboration between all local government management professionals in the state, particularly in the area of professional development and training. Since 2005 MMANC and MMASC have partnered with ICMA to offer their members exceptional resources and networking opportunities. A special flat dues rate for MMANC and MMASC members working in local government was developed and was so successful that ICMA’s partnership with MMANC and MMASC became the model for an extraordinary dues rate for affiliate members nationwide! ICMA provides one free year of affiliate membership for graduates of the MMANC/SC Credentialed Government Leader Program. Once completing the CGL Program, continue your professional development through ICMA conferences, webinars, and online resources. Graduation from the MMANC/SC CGL program can also count toward experience requirements for the ICMA Credentialed Manager Program. How Can ICMA Work For You? Contact any of the volunteer liaisons, senior advisors, staff, or executive board members who serve as resources to ICMA California members, organized under Cal-ICMA, or Join ICMA Today!